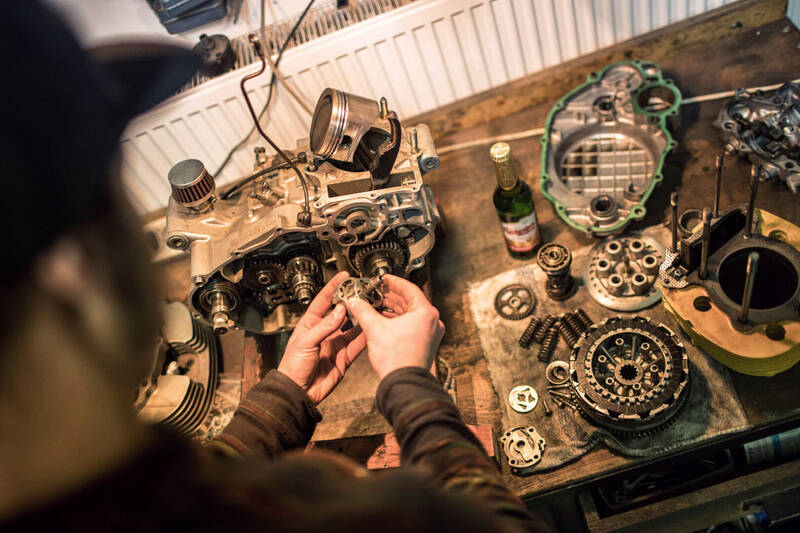 Garage Gas and Oil Bespoke Motorcycles is the place where the original motorcycles tailored to the rider are created. If we were to say what genres do we examine: Cafe Racer, Tracker, Scrambler, Flat Tracker. We enjoy preparation of a new face on a motorcycle, that is frequently mud raced, design seating position and get the maximum machine speed or adjust the machine for longpaths, or create it like street rebel. 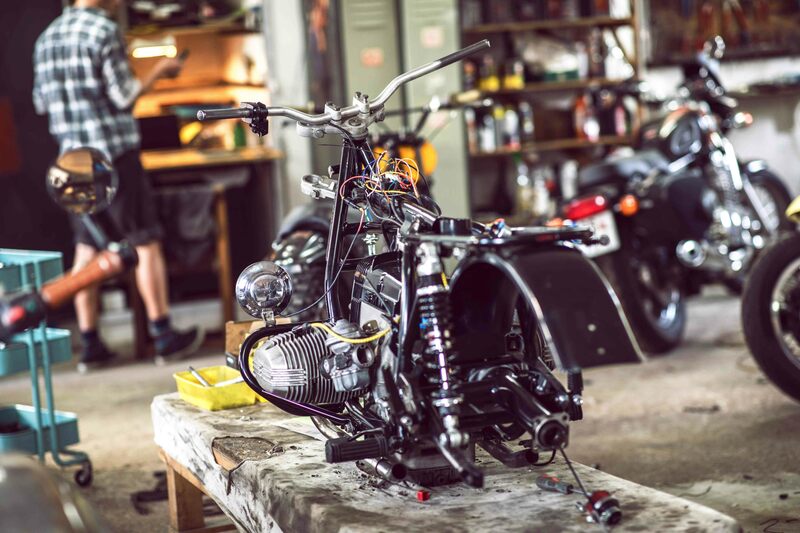 We focused on servicing and modifications of motorcycles that were produced in 70 to90 years. They are machines that have been designed at a time when material was quality, workmanship was perfect and these motorcycles are able to show, that it is not junk. It is a form of recycling, we do not stop the progress or development of technology, but we like it our wayIf you are thinking about a machine from our workshop, it is important to sit down together and discuss whether we get into a motorcycle that you already have, or the perfect foundation we get. What do you expect from the new machine and what demands do you have. We would love to have look at pictures of projects that you like and listen to why. Our goal is to make the machine maximally suit you and make you happy and unique.